STSA has a variety of social activities available for STSA 62nd Annual Meeting attendees and their guests to enjoy while in Walt Disney World® this November. Advance registration prior to October 13 for all STSA social activities is recommended. Register for social activities online. Contact STSA Headquarters at 800.685.7872 or e-mail stsa@stsa.org for assistance. The All Attendee Lunch will take place on Friday, November 6 from 12:00 pm-1:00 pm. Meeting attendees are invited to attend with their families to enjoy the company of STSA friends and a special Disney character guest who will be available for photos. Dessert and JCTSE’s Residents Jeopardy Competition will take place in the Exhibit Hall immediately following lunch. The President’s Mixer will take place on Friday, November 6 from 7:00 pm-9:00 pm. Two tickets are included with attendee registration, and additional tickets can be purchased for $25 each. This year’s Mixer will feature a guest appearance by Mickey Mouse with plenty of photo opportunities. The Mixer will conclude at Epcot® where STSA will have a front row seat for fireworks. Special Note: Tickets will be collected and each member of your party must have a ticket to enter the President’s Mixer. Small children will be allowed to enter with a ticket-holding adult. The STSA Golf Tournament will take place on Saturday, November 7 beginning with a 12:45 pm shotgun start. Participants will golf Disney’s Palm Golf Course, which was recently renovated by Arnold Palmer Design Company and is considered one of the most naturally beautiful courses in the country. Tickets cost $130 per person and include roundtrip transportation, greens fees, and a box lunch. Club rental is available through the club house for $20 plus tax, and shoe rental is complimentary. 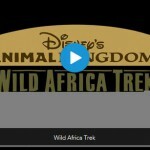 View this short video about Disney’s Wild Africa Trek to get an idea of what’s in store for STSA participants! The Wild Africa Trek will take place at Disney’s Animal Kingdom® Theme Park on Saturday, November 7 from 1:15 pm-4:15 pm. This three-hour experience led by specially-trained guides begins in the Safi River valley where expedition harnesses will allow guests to cross precarious rope bridges and enjoy up-close views of Nile hippos and crocodiles. The journey continues along the edge of a magnificent, wide-open African savannah, where guests board a specialized vehicle to enjoy an exclusive safari, including a stop at a private safari camp for premium animal viewing and African-inspired food samplings. Tickets cost $240 per person and include roundtrip transportation, souvenir water bottle, and photos. Special Note: Children must be accompanied by a paying adult and must be at least 8 years-old. Minimum height is 48 inches, minimum weight is 45 pounds. The STSA Fishing Tournament will take place on Saturday, November 7 from 1:30 pm-3:30 pm. Participants will enjoy a two-hour catch-and-release guided fishing excursion on the Walt Disney World® Resort waterways. Tickets cost $55 per person and include non-alcoholic beverages, fishing poles, bait, tackle, and guide. The Annual Awards Dinner & Dance will take place on Saturday, November 7 from 7:00 pm-11:00 pm at Disney’s Yacht & Beach Club Resort. Several STSA members will perform with their live band, WOOSAH!!!. A delicious menu has been designed just for STSA, and the children’s menu is sure to delight our youngest guests with several Mickey-inspired dishes. The awards presentations will be shortened to maximize time to enjoy the company of your STSA friends. Dress is black tie optional; attendees may also dress in costume in order to compete for best-, most originally-, or most-outlandishly dressed. Learn more about the Awards Dinner & Dance and STSA member band, WOOSAH!!!. The STSA 62nd Annual Meeting host resort is Disney’s Yacht Club. Attendees staying at Disney’s Yacht Club will have access to a 3-acre waterpark hosting a lazy river, sand bottom pool with beach entry, and one of the highest hotel waterslides in Walt Disney World®. Yacht Club tenants will also enjoy 24-hour fitness club access and free Wi-Fi throughout the resort and convention center. Make a hotel reservation at Disney’s Yacht Club online. Call the Disney reservations department at 407.939.4686 to reserve over the phone. The Kid’s Sandcastle Club is available daily from 4:30 pm-12:00 am. The Sandcastle Club is a play space where children ages 3 to 12 are invited to enjoy games, have complimentary dinner and snacks, watch Disney movies, and interact with other children their age. The cost per child is $15.00 per hour with a two-hour minimum charge. Children must be toilet-trained. Please call 407.939.3463 for reservations. Learn more about the Kid’s Sandcastle Club. Baby-sitting services are available through Disney’s Kid’s Nite Out at 407.828.0920. Advanced reservations are required. Learn more about baby-sitting services. Disney theme park tickets and dining reservations can be booked online at www.mydisneymeetings.com/stsa2015. Discounted tickets and Park-Hopper passes are available to STSA attendees for Orlando-area theme parks, including Disney’s Animal Kingdom® Theme Park, Epcot®, Universal Studios, and a variety of water parks. Learn more and purchase tickets discount tickets. Disney’s Yacht Club is located within easy walking distance of Epcot®, where The International Food & Wine Festival will be taking place this November. Lean more about the Festival. Contact STSA Headquarters with questions about the STSA 62nd Annual Meeting by calling 800.685.7872 or e-mailing stsa@stsa.org. We hope to see you in Florida this November!